Laura Halford has been crowned the 2015 rhythmic gymnastics all-around champion at the first ever British Gymnastics Championships Series from Echo Arena, Liverpool. Laura retained her British title with a score of 58.200 after her hoop, ball, club and ribbon routines with her Esprit Rhythmic Gymnastics Club teammate Stephani Sherlock in silver with 55.800 and 2012 Olympian Lynne Hutchison taking bronze with 55.150. “I’m really, really happy to have won the title again! My first routines didn’t go to plan so I had to really fight back and perform at my best to take the gold so I’m really pleased to have done that. I definitely felt more pressure and expectation coming in to this and to win again is just as good if not better than the first time. 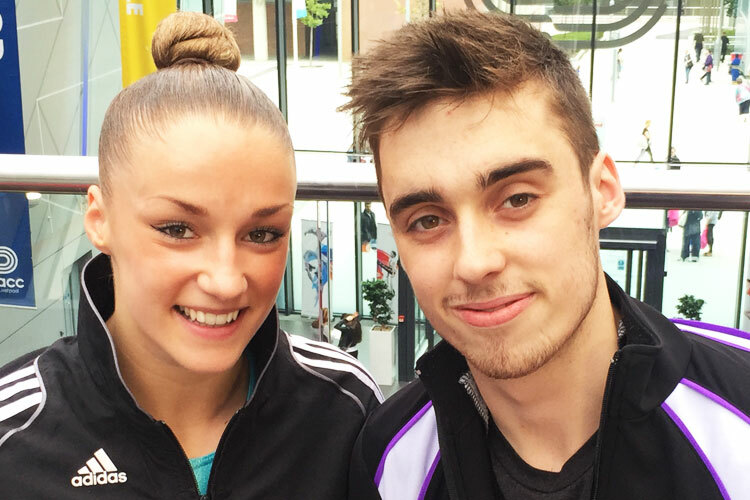 The British Gymnastics Championship Series brings four British Championships to Echo Arena as Britain’s top gymnasts compete for honours in acrobatic, aerobic, TeamGym and rhythmic gymnastics. Along with the senior rhythmic titles, medals were also decided on day one in the junior rhythmic events and the Foundation and NAC aerobic events, the full results from all the competitions can be found here.. The competitions continue with rhythmic apparatus finals and aerobic finals on Friday, check out the event guide for more information.